Last summer, almost 500,000 people protested inequalities. It was the largest demonstration in Israeli history. Israel may be on the verge of its own Arab Spring. The divide between secular and orthodox Jews intensifies. Will the inner turmoils between Israelis pose a larger threat to the future of Israel? 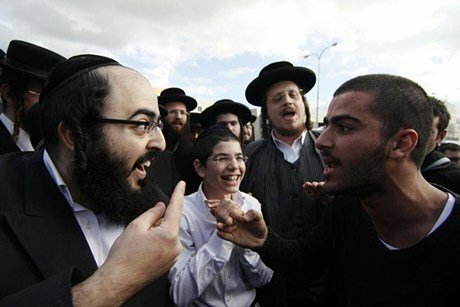 Why is there so much dissent between Zionists? Should the State be defined as Israeli or Jewish? Can the two identities be separated?